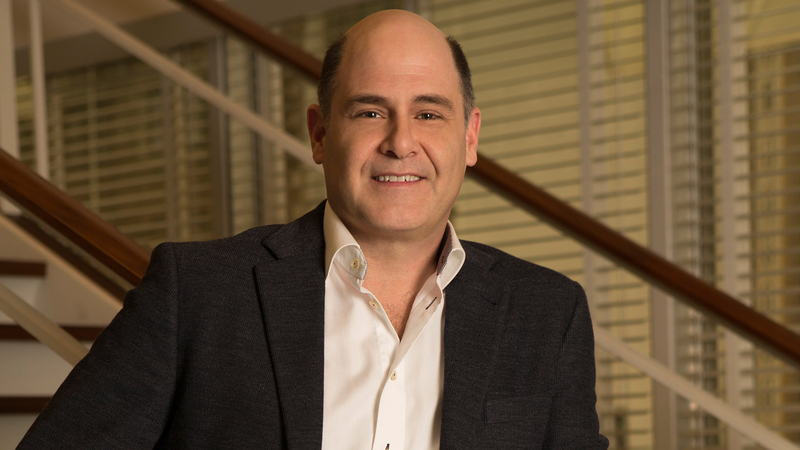 Matthew Weiner is an American writer, director and producer. He is the creator of the AMC television drama series Mad Men, which premiered in 2007 and ended in 2015. He is also noted for his work on the HBO drama series The Sopranos, on which he served as a writer and producer during the show's fifth and sixth seasons (2004; 2006–2007). He directed the comedy film Are You Here in 2013, marking his filmmaking debut. Weiner has received nine Primetime Emmy Awards for his work on Mad Men and The Sopranos, winning three for Mad Men, as well as three Golden Globe Awards for Mad Men. Mad Men won the Primetime Emmy Award for Outstanding Drama Series for four consecutive years (2008, 2009, 2010, 2011); The Sopranos (with Weiner as an executive producer) won the same award twice (2004, 2007). In 2011, Weiner was included in Time's annual Time 100 as one of the "Most Influential People in the World". In November 2011, The Atlantic named him one of 21 "Brave Thinkers."